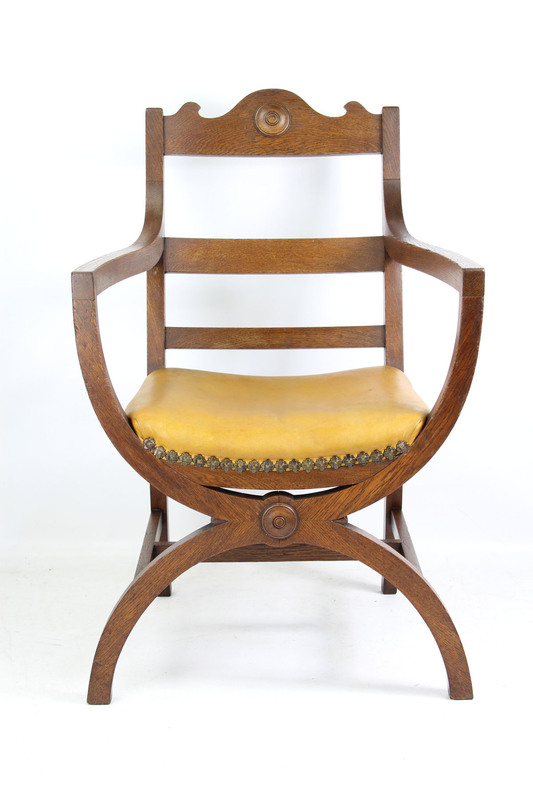 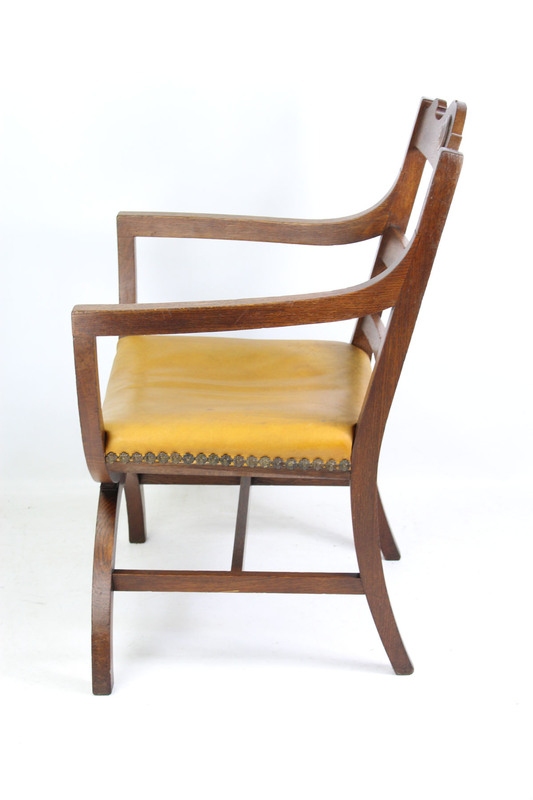 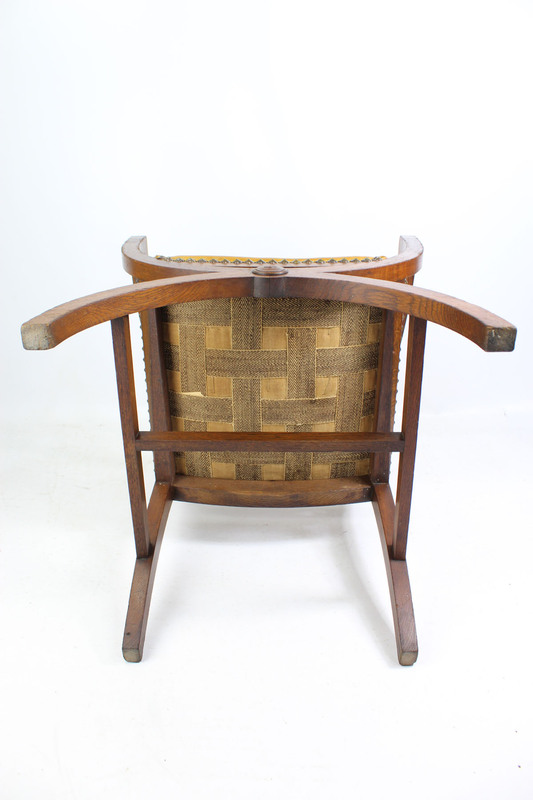 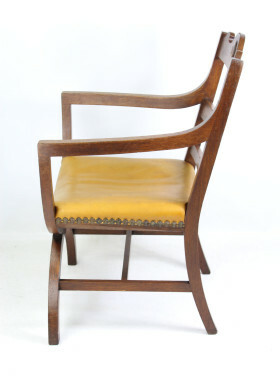 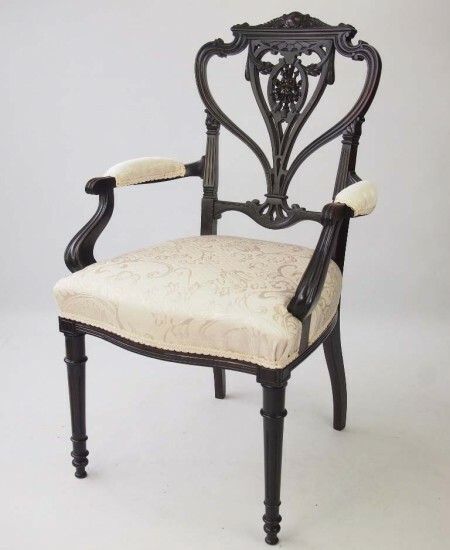 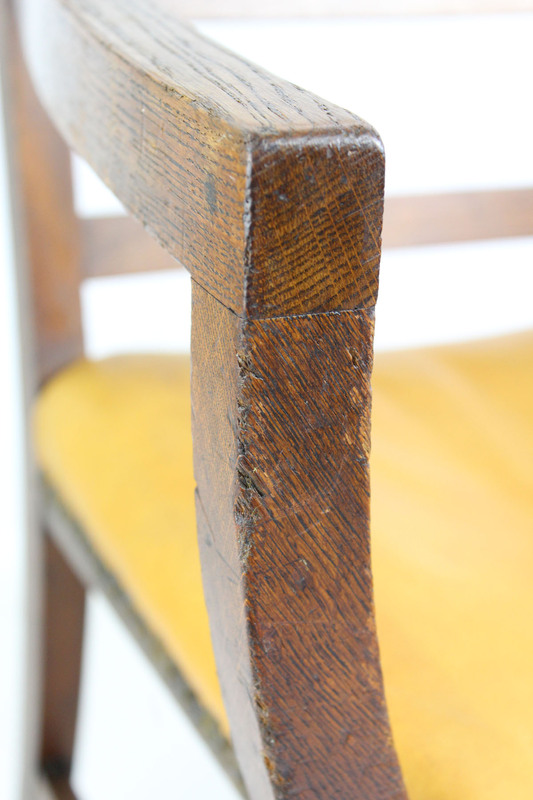 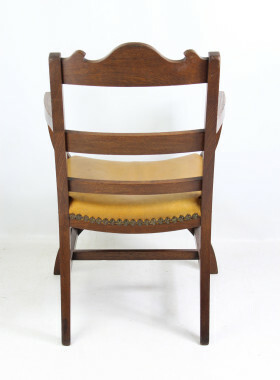 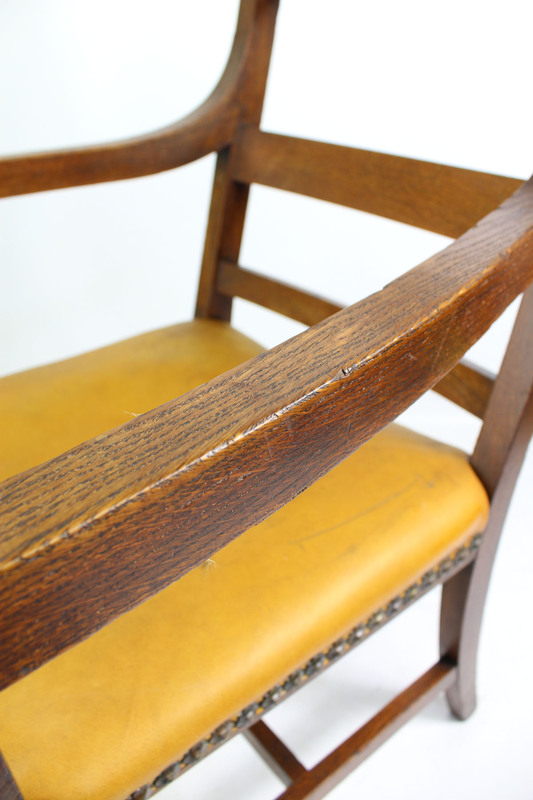 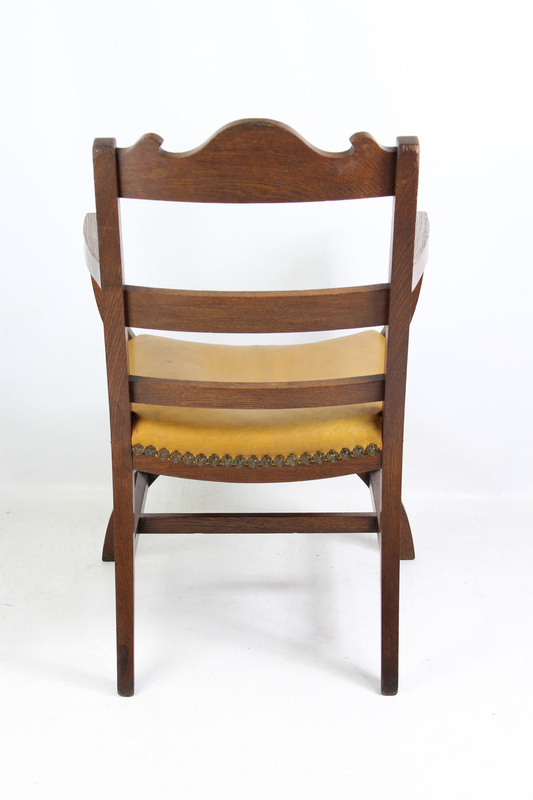 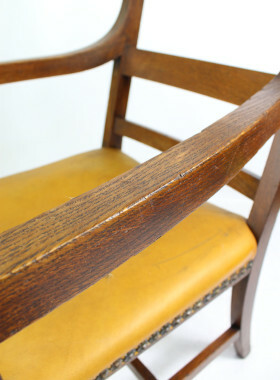 A stylish decorative oak x-frame armchair with leather seat dating from circa 1905. 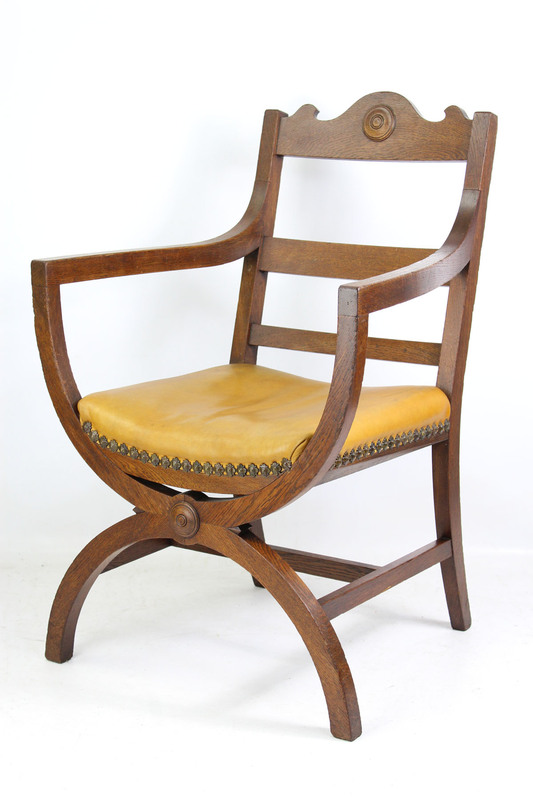 A stylish decorative oak x-frame armchair with leather seat dating from circa 1905. 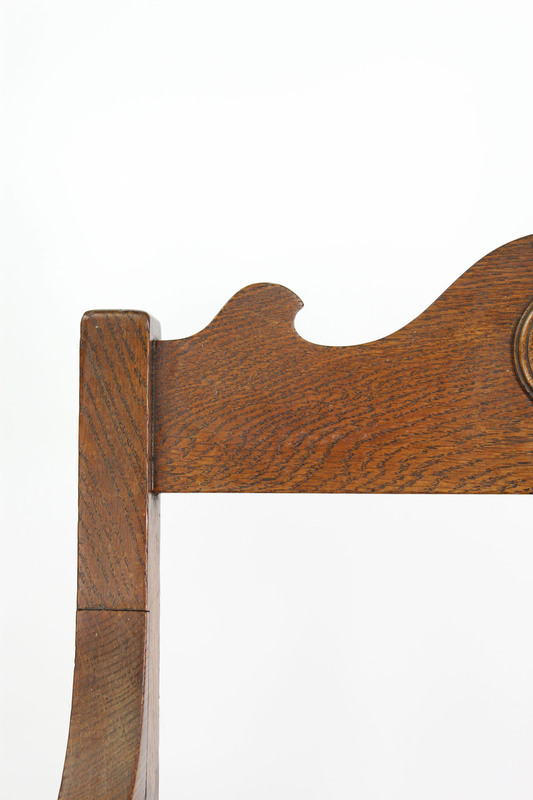 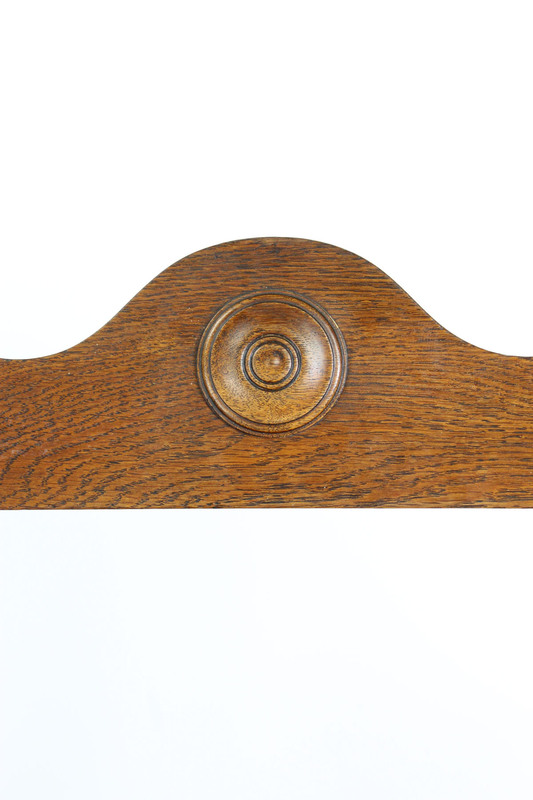 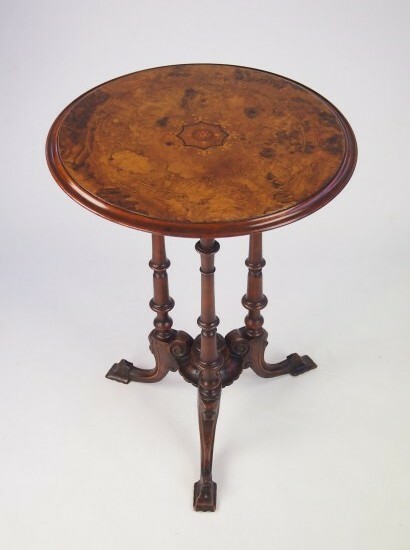 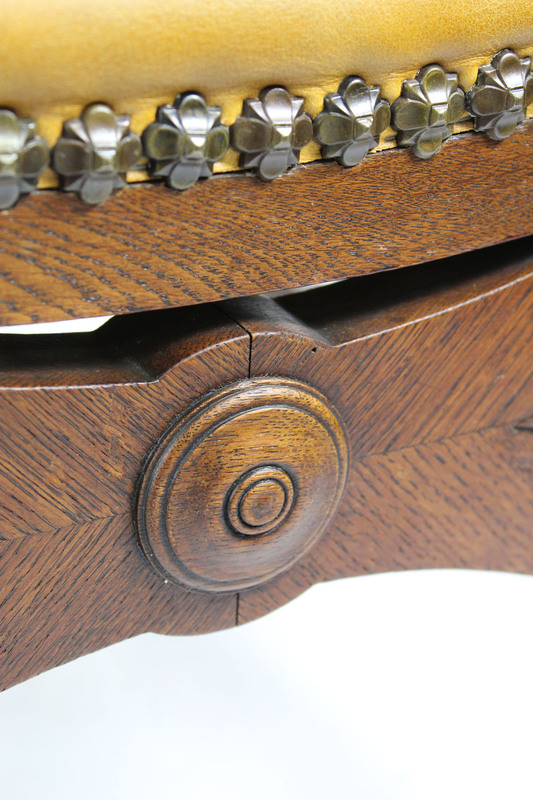 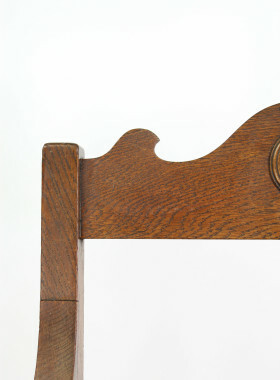 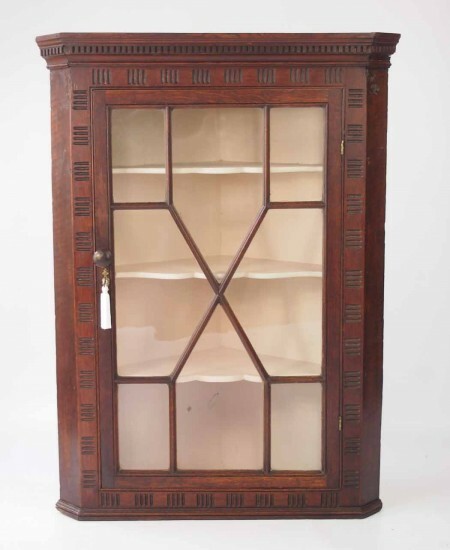 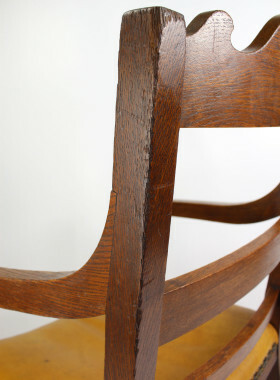 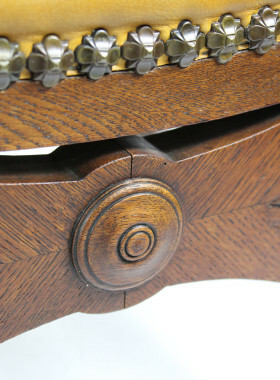 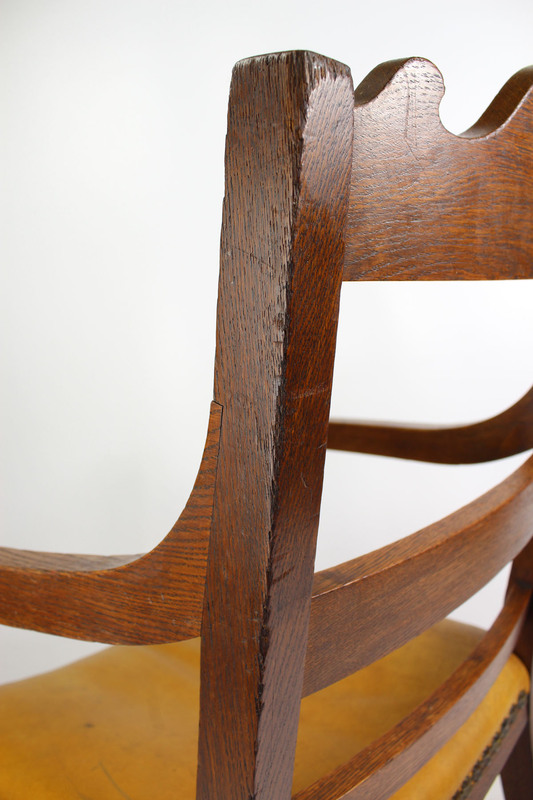 In Arts and crafts influenced design, with shaped back rails and curved arms, the x frame united by cross stretchers. 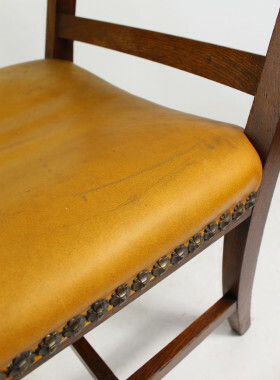 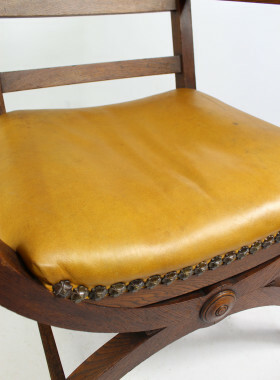 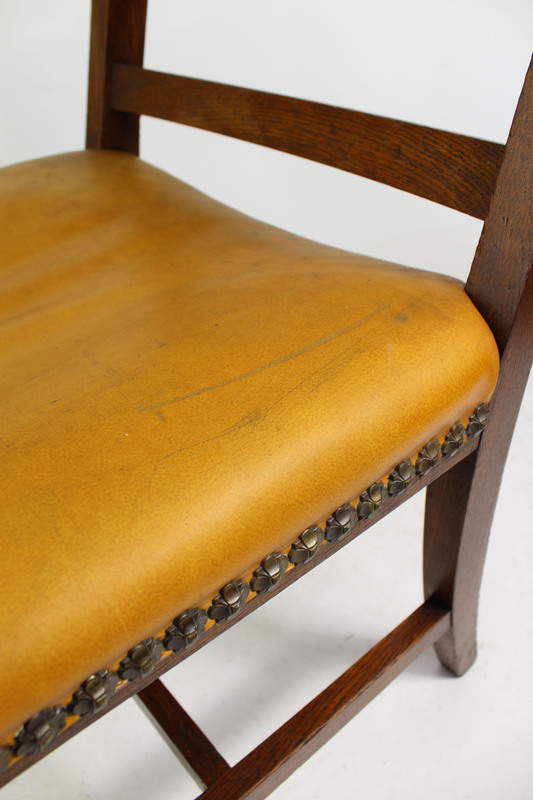 The seat is upholstered in a yellow soft leather finished with decorative studs. 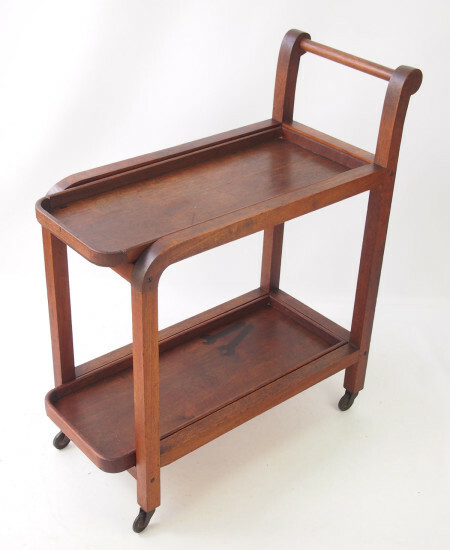 Very solid and sturdy, would make a great desk chair or bedroom chair. 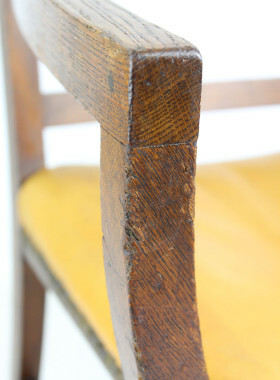 marks to the frame commensurate with age and use, very solid and sturdy. 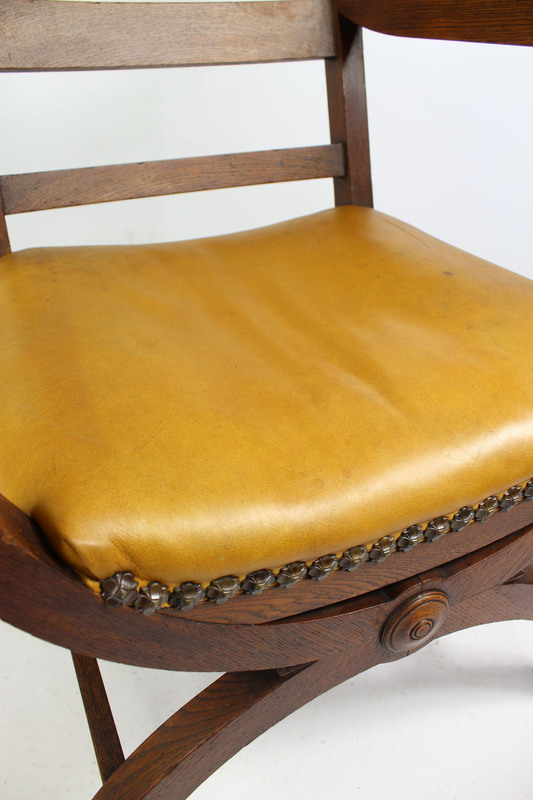 Leather in good condition, upholstery old but in fair condition.